3L1400AS : 3.6 volt 1400mAh rechargeable Ni-Cd battery pack for Husky Itron FS/2, FS/3, MP2500 bar code scanners. Dimensions: 5.90" long x 0.67" diameter. These battery packs are manufactured in the USA. The # 317078002A is a 7.2 volt 600mAh rechargeable Nickel Cadmium battery pack for INTERMEC NORAND RT1100 bar code scanners. The 4/V150-WHP is a 4.8 volt 150mAh rechargeable Ni-MH battery for HAND HELD PRODUCTS A1 Quick Check 150, 200, 150QC, 200QC Bar Code Scanners. Replaces original battery # 31203342-01. The P18AAA-4NH is a 4.8 volt 220mAh rechargeable Nickel Cadmium battery pack for INTERMEC-NORAND older series 20 bar code scanners. P100AA-5NDS: 4.8 volt 2000mAh rechargeable Ni-MH battery pack for INTERMEC NORAND 4000, 4500, 6210, Pen Key 6210 series portable bar code scanners. LP6-1DT: 3.7v 700mAh Li-ION battery for Casio DT-900, DT-900M, DT-900M50, DT-900M50E, DT-900M51, DT-900M51E, DT-923, DT-923LI, DT-923LIB, DT-930. Replaces Part Numbers DT-923, DT-923LI. L103450-1INS: 3.7volt 2300mAh rechargeable Li-ION battery for INTERMEC 600, 601, & 602 Pen series bar code scanners. High-capacity model - provides more run time than the first generation battery. S-L726H-BU: 7.2v 2200mAh Li-ION battery for EPSON EHT-30, EHT-40, EHT-400, Fujitsu Stylistic 500 bar code scanners. Replaces CA54200-0090, CA542000090, FMWBP4, FMWBP4(2), NP-500, NP-500H, NP-510, NP-520, NP500, NP500H, NP510, NP520, NP530, V68537 etc. The FL8-V60H-TA is a 3.6 volt 80mAh rechargeable Ni-MH battery pack for bar code scanners such as INTERMEC Trakker Antares 2420, 2425, 2430, 2435. P60AS-5SPH: 6.0v 700mAh Ni-Cd battery for Chameleon / SYMBOL LDT3500, LDT3800, LRT3800, LRT6800, PDT6800, PDT6810, PDT6840, PDT6842, PDT6846. The # L345010-1PS is a 3.7v 1950mAh Li-ION battery for Chameleon, Fujitsu, Casio, & Symbol bar code scanners. The 18650-1SWS is a 3.6 volt 1800mAh Lithium ION battery - fits CHAMELEON RF WT2200, RF WT2280 bar code scanners. Replaces original battery #s 20-16228-07, 20-16228-09. L18650-2IDA : 7.4 volt 2400mAh Lithium ION rechargeable battery pack for INTERMEC Trakker Antares 2420, 2425, 2430, 2435, and INTERMEC 5020DCPC, 5020, 5023 series bar code scanners. H150AA-3DLS: 3.6 volt 2500mAh Ni-MH battery pack for HAND HELD Dolphin 7200, 7200IC, 7200RF series bar code scanners. Replaces original battery #s 200-00233, 20000233. 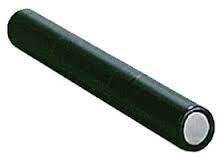 L18650-2DLS: 7.4 volt 2250mAh Li-ION battery for HAND HELD brand Dolphin 9500, 9501, 9550, & 9551 bar code scanners. Replaces original battery #s 20000591-01, 2000059101. The H150AA-3PDT is a 3.6 volt 1500mAh Nickel Hydride rechargeable battery pack for Chameleon Bar Code Scanners model RF FL2800. Also fits Symbol PDT6100, PDT6140. L14500-2DS : 3.6 volt 1200mAh Lithium ION battery for DENSO BHT-7000, BHT-7500 bar code scanners. 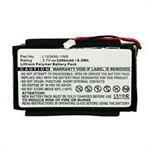 L14500-2DS: 3.6 volt 1200mAh Li-ION battery for DENSO BHT-7000, BHT-7500 bar code scanners. Replaces part #s 496461-0300, 496461-030X, 496461-0380, 496461-380, B-70D, B-70L. The # L18650-217C is a 7.2 volt 2250mAh rechargeable Lithium ION battery pack for INTERMEC data terminal scanners. Fits 700, 740, 741, 751, 761 etc. L18650-2ITA : 3.7 volt 4500mAh rechargeable Li-ION battery for INTERMEC Trakker Antares 2410, 2415 bar code scanners. Replaces battery #s 069428, 069429, 073929, 073-930, 69428, 69429, 73929, 73930. Provides DOUBLE the operating time of the original! H270AE-3DLS: 3.6 volt 2700mAh Ni-MH battery for HAND HELD brand Dolphin 7300, 7400, 7400RF, 7450, 7500 bar code scanners. Replaces original battery #s 200-00552, 200-00589, 200-00552, 200-00589.